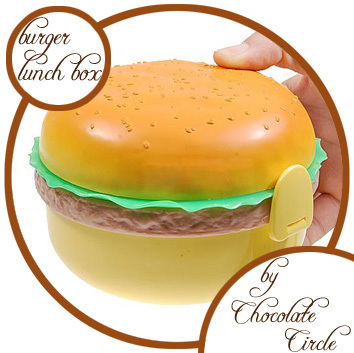 • Impress your family, friends, colleagues by organizing your CDs, DVDs and game discs with one of these Fast Food CD/DVD Holders! 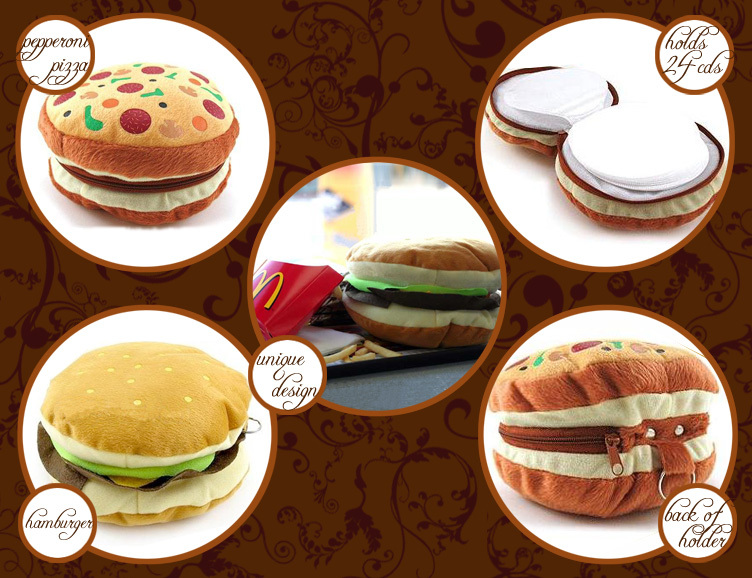 • Other than being a disc carrying case, each holder is extremely cute and soft that makes it an impressive and unique home decoration! 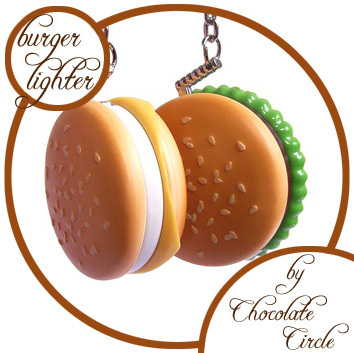 • Inside are pockets to carry 24 CDs; satisfy your urge for fast food by storing your most frequently-used discs with it! 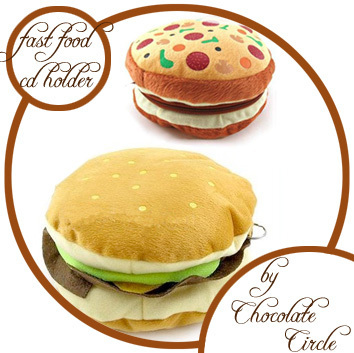 • Outer cover of each holder is made with a light-weighted fabric that makes it suitable for you to carry around! 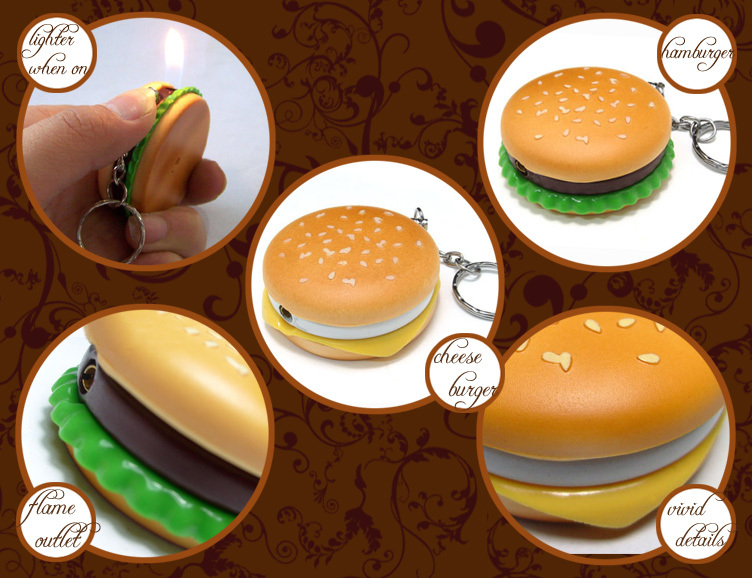 • Best choice as gifts for friends who love fast food or simply those with a sense of humor and creativity! 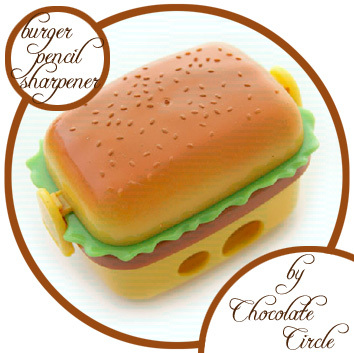 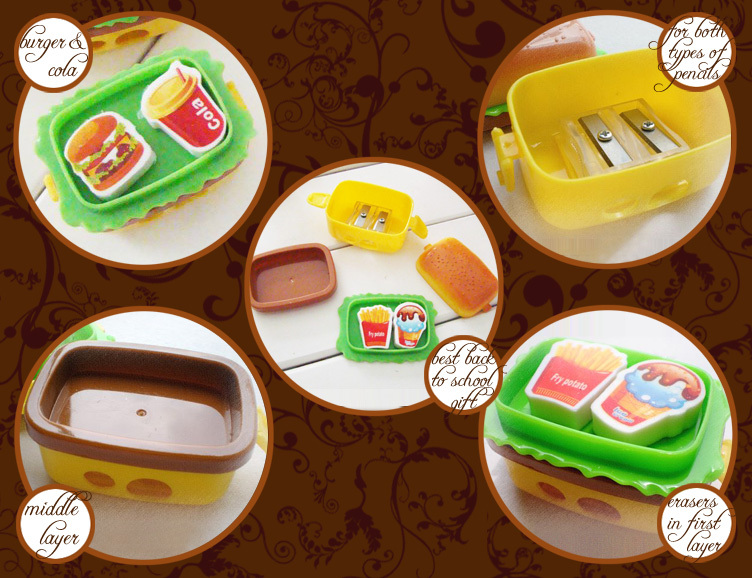 • Enjoy your lunch at office or at school from this cute and impressive 3-layered Hamburger Lunchbox! 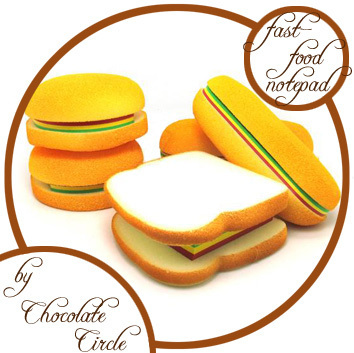 • Vivid design of sesame buns, veggie and beef to imitate a real hamburger! 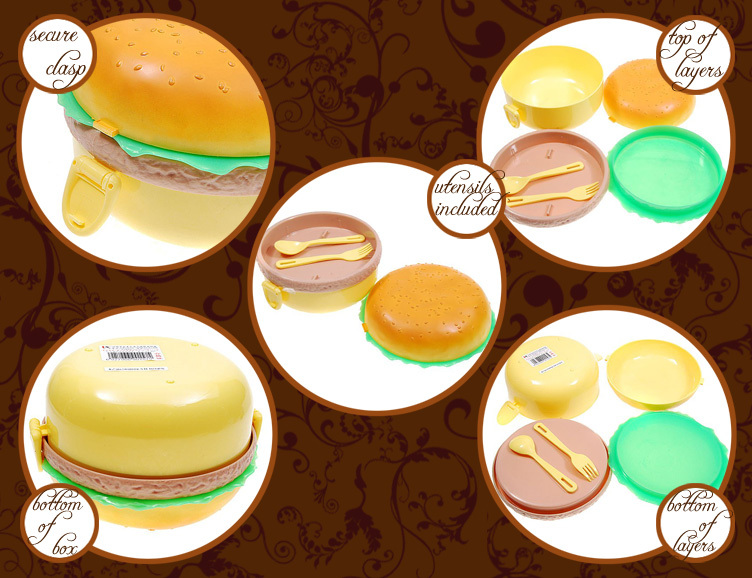 • Comes with a set of matching fork and spoon! 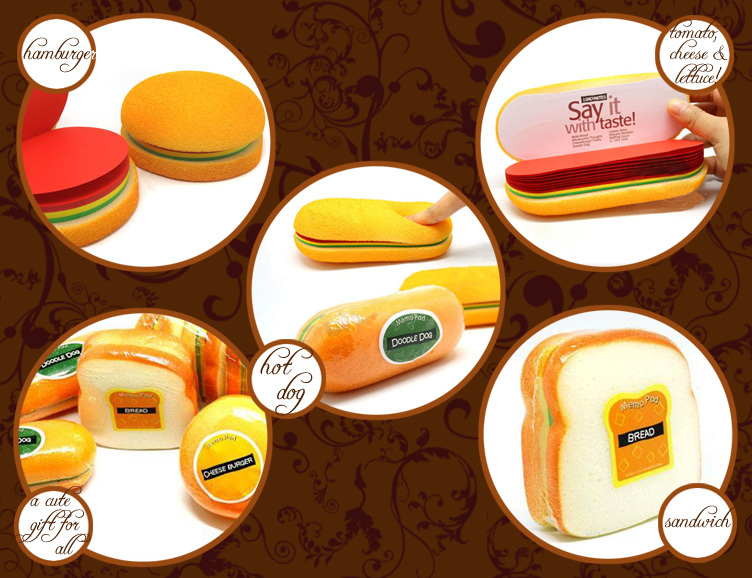 • Light-weight for ease of carrying; entire box made of plastic for easy cleaning! 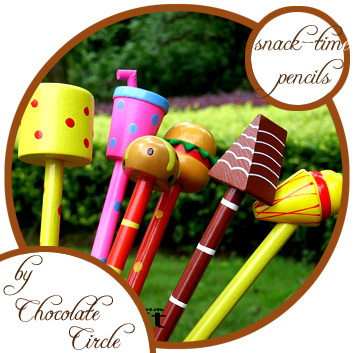 • Best choice as a gift for all ages!